June, 2016: That time that Benjamin Jr. was big enough to be a big help at Daddy’s football camp (and he was very serious about it)! 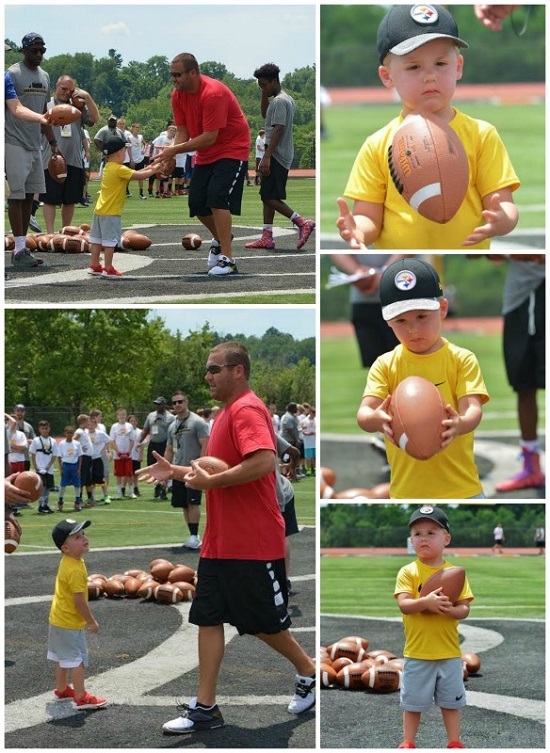 The Ben Roethlisberger Football ProCamp will be returning to the UPMC Rooney Sports Complex on June 17th! Campers will learn fundamental football skills and have the opportunity to meet and interact with #7 himself. You can see all the great photos from Ben’s past camps shared by parents & grandparents, as well as more from Mr. Rush here.